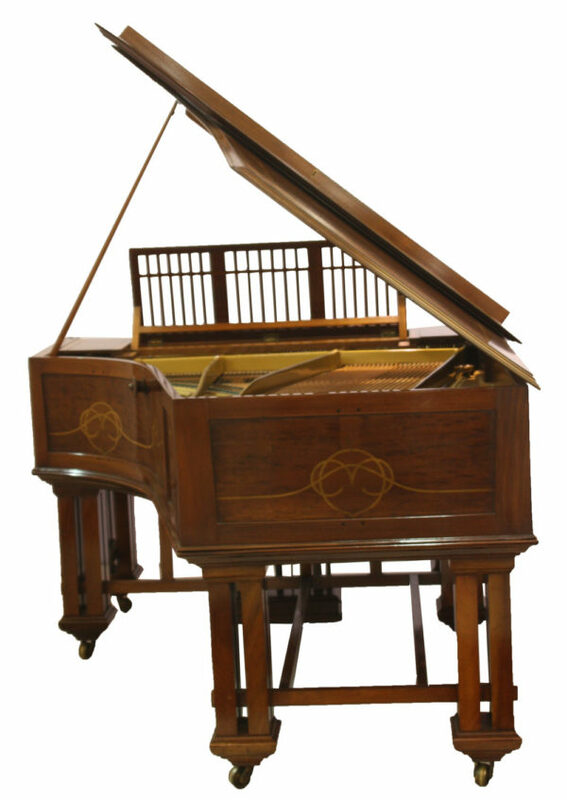 This Bechstein piano is encased in a unique specially commisioned hand finished ‘Secessionist‘ style piano case in panelled Mahogany with extensive ‘arts and crafts’ type marquetry inlay with feature metallic embossed ornamentation and mother-of-pearl highlights, raised on 6 quad cluster legs. 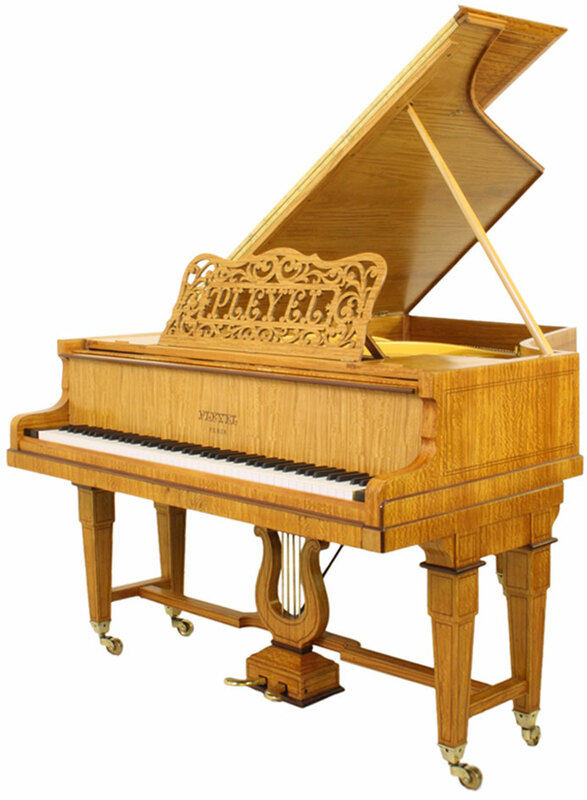 We have delivered our pianos to major cities throughout the world: Los Angeles, Hong Kong, Sydney, Istanbul, New York, Paris, Dubai and more. 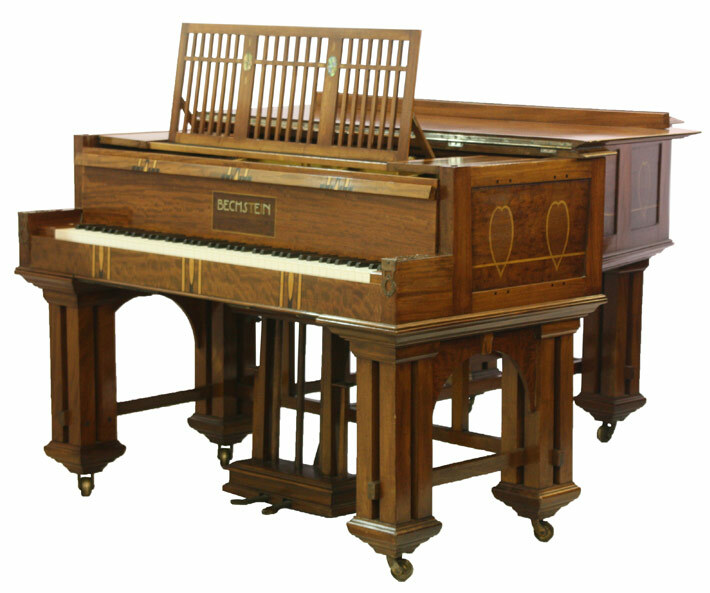 For European customers we arrange for your piano to be transported, delivered and set up in your home or place of work by our specialist removal crews. 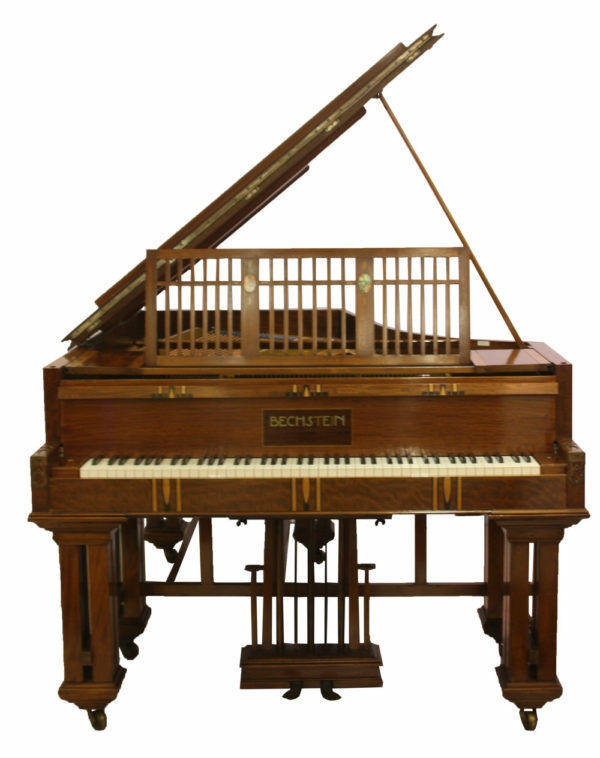 For customers outside of Europe, your piano is foil wrapped, vacuumed sealed, and packaged in a purpose-built 1066 crate, ensuring its safe arrival in perfect condition. 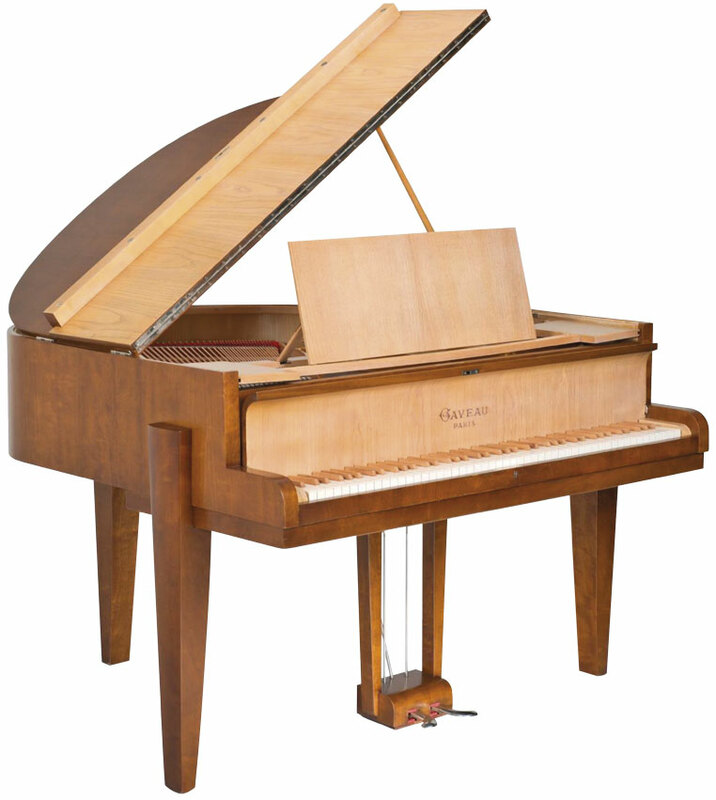 Our agents handle all aspects of customs clearance and your piano will be installed by a specialist. To date we are are proud to report a 100 percent no-claims record on all of our exported instruments.